We offer a free two man delivery service into the room of your choice on all order of £600 and over. For all orders under £600 we charge £39 for our two man delivery service. We also provide a premium delivery service of £76 for pieces that require any assembly or set-up. our delivery team will place the furniture and also remove all the packaging. Due to the enormous amount of styles, colours and options available, most pieces are handmade to order. Because of this, our average lead time is six – eight weeks . If a piece of furniture is held in stock delivery time is within ten working days and will be displayed as ‘in stock’ in the products description. 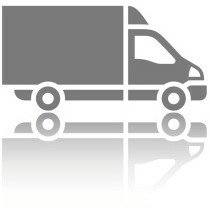 Give us a quick call on 01228 529350 with any delivery related questions. We are here to help.